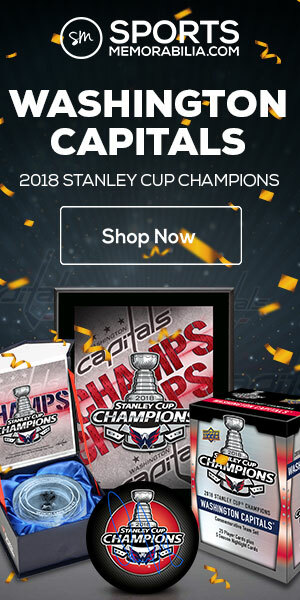 If you were building a “best player’s ever” RC collection, it would be very easy to pick players such as Connor McDavid, Sidney Crosby, Alexander Ovechkin, and Carey Price. Pavel Bure, Sergei Fedorov, Jaromir Jagr, and Martin Brodeur would be great choices from the 1990’s, and Guy Lafleur, Ray Bourque, and Dino Ciccarelli would be great choices from the expansion and modern eras. With a list like that, spanning several decades of hockey history, your next question would likely be, “What version of their RC should I get?” The question is tougher to answer especially when you consider the modern era and how many different RC’s are produced each season. Buyback autographed RC’s are the easiest way to answer the question and provide are very unique, rare, and ever-growing collection at the same time. A buyback auto RC is not a reprint, rather it is an actual RC from a previously released set that was “bought back,” autographed by the player, and then certified by the manufacturer. They are almost always produced in very limited quantities with most having 100 or fewer copies. A large number of them are numbered to the player’s jersey number, some of them are even 1 of 1’s! Since the buyback card was not originally autographed, a certification sticker is attached to the card back containing a unique serial number that matches one on the certificate of authenticity card that comes along with it. 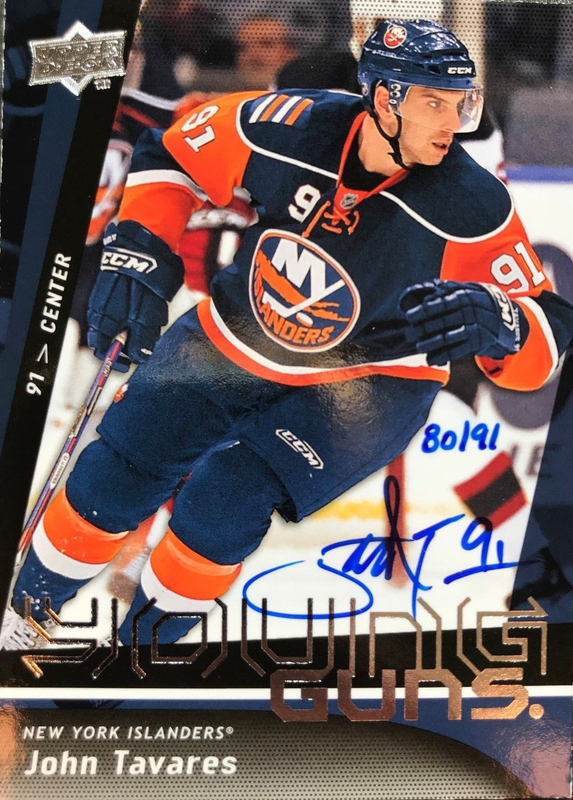 Upper Deck does a great job from a card selection standpoint, including the very popular Young Guns RC versions for the majority of the buyback RC’s that they produce. Keep in mind that some buyback RC’s aren’t autographed and are just plain RC’s that include a certificate confirming their buyback status. There are also some buyback cards that are not RC’s, but are still autographed. Buyback auto RC’s are usually random inserts in packs and have come in several different sets over the years. 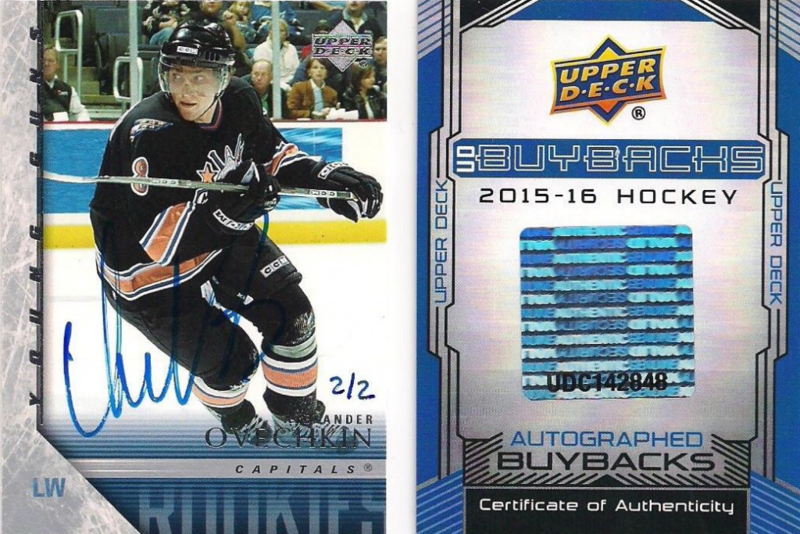 Upper Deck released a Buybacks specific set in 2015-2016 that had one buyback auto in every pack with the majority of them being RC versions. 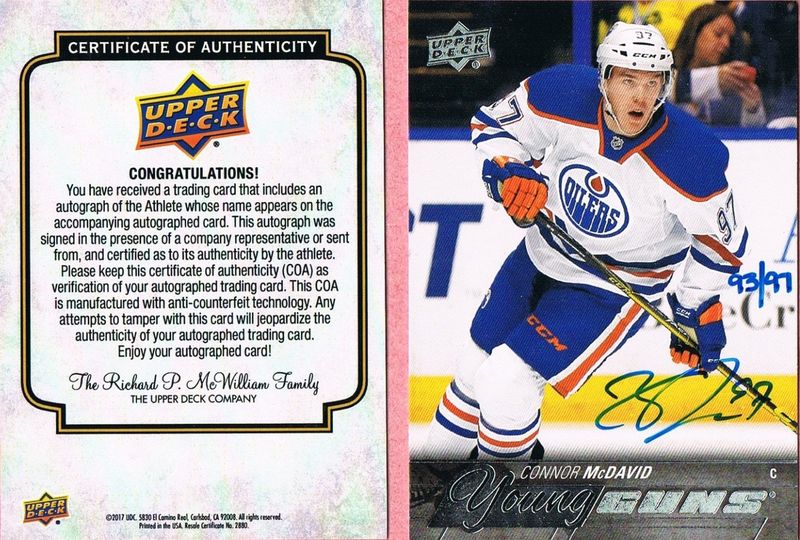 Way back in 2007-2008, after Upper Deck acquired the O-Pee-Chee license, they started to produce the O-Pee-Chee set again, which is one of the largest and most comprehensive sets each season. Upper Deck randomly inserted several different super short printed buyback auto RC’s (which are believed to be 1 of 1’s). 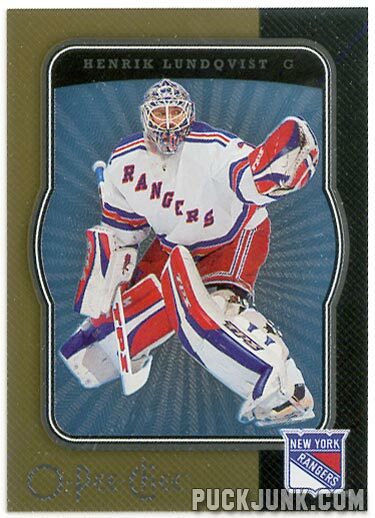 To date, there have been buyback auto RC’s from Score, Leaf, OPC, and Upper Deck sets. Buyback auto RC’s continue to be a part of Upper Decks sets each year. Leaf re-joined the hobby a few years ago, though without a license to produce current sets, but they celebrated the inaugural Leaf Hockey set of 1993-94 by including slabbed buyback autographs in their latest hockey issue. 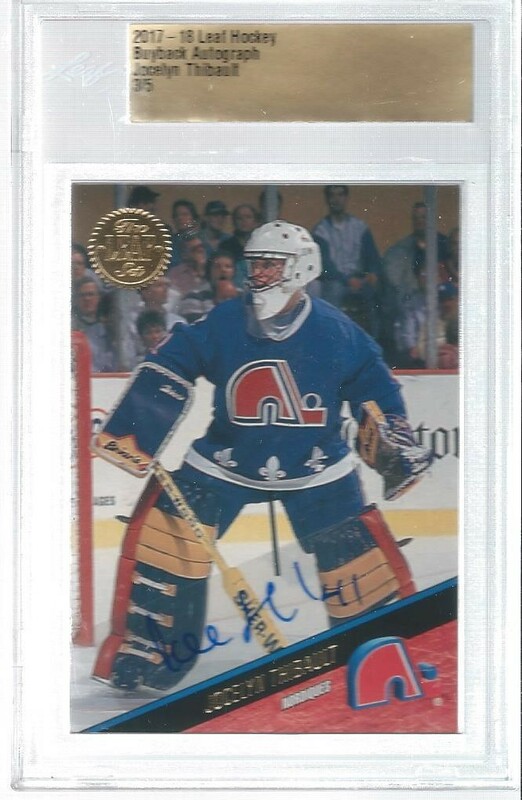 While their buyback selection focused almost exclusively on star players like Mario Lemieux and Brett Hull, they were savvy enough to include the only buyback auto RC of goaltender Jocelyn Thibault produced to date. For those of you that don’t know, Thibault was the heir apparent in Montreal having come there as part of the blockbuster trade that sent Patrick Roy to the Colorado Avalanche. Thibault played 158 games for the Canadiens over the course of four seasons. 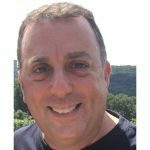 With Upper Deck having access to their own RC crop spanning almost 30 years since they started back in 1990, as well as owning the O-Pee-Chee license, the possibilities are virtually endless and could include players going all the way back to 1968 season! Even with so many great players having a buyback auto RC already, there are still a large number of them who don’t have one yet. 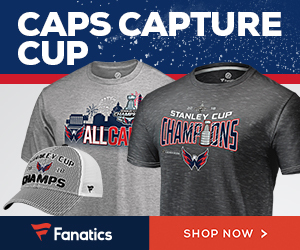 Current superstar players like Auston Matthews, Blake Wheeler, and Stephen Stamkos have yet to have one, neither does Nicklas Backstrom, Brent Burns, or Patrick Marleau. Peter Forsberg, Dominik Hasek and Paul Kariya are just a few of superstars from the 1990’s that have yet to have one either. Fans of Russian hockey players can dream about buyback auto RC’s of the KLM line, and Red Wings fans can even dream about the possibility of buyback auto RC’s for the players that made up the famous Russian 5 line. 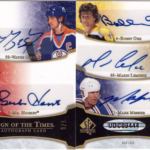 Last but certainly not least a Mario Lemieux or Wayne Gretzky buyback auto RC would be the ultimate buyback collectible. As I mentioned, the possibilities are almost as endless and unique as collectors’ wish lists. You forgot to mention that you’ll need some pretty deep pockets to have the ability to afford most of them. Granted, the cards that you showed off in this post are sweet and would look great in anyone’s collection. Thanks for including the checklist possibilities. Hi Marc, sorry for the delayed response. I agree that some of the more recent ones are super expensive, the 2015-2016 Buyback set included some really popular players that have shot up in price since then. Some of the older ones as well as some of them that aren’t Young Guns (like the Kuznetsov or Gaudreau Fleer RC versions) are very affordably priced IMO. If you search Ebay regularly you can find some deals. Thanks for reading. The setlist, it’s of all buybacks cards to come or already on the market ? Hi Denis, sorry for the delayed response. The checklist is not complete but i plan on updating it regularly. Thanks for reading. Thanks Jim, sorry for the delay. I agree the list is not complete, i have found Gaborik and DiPietro Young Guns versions as well. I plan on keeping the list updated as time goes on. Thanks for reading. I have a Patrick Kane buyback auto rookie that was sent to me from upper deck to replace a dual auto card they couldn’t get from the players. It isn’t numbered and I have no idea how may are out there (I have seen one other on eBay) or value. What value range would you put on this card? Hi, thanks for your great post. I’ve been a RC buyback auto fan for almost 20 years. I have Mario Lemieux OPC buyback auto graded by BGS 8.0. I can post a picture if you are interested. Hi BlueJays, sorry for the delay. 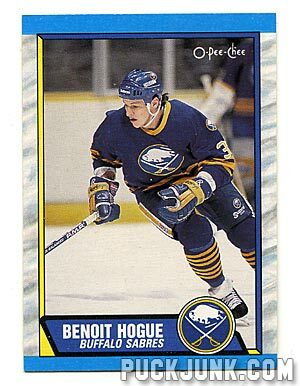 I would love to see the Lemieux buyback, i understand that they are 1 of 1’s. Please post a pic and thanks for reading. 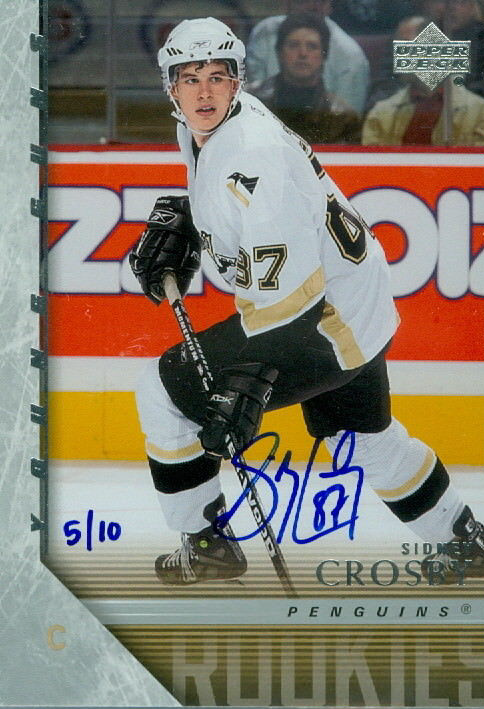 I have the Crosby 2/10 bgs 9.5 10 auto with 2 10s subgrades. Its an amazing card.